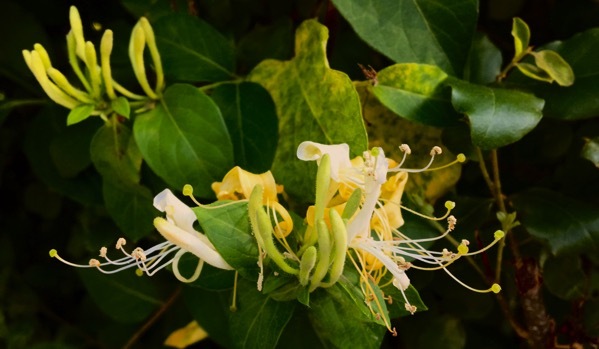 I’ve been smelling honeysuckle blooms the last few days—intense sometimes, perhaps intensified by the rain the other day. I can’t decide if I like the rich odor or it’s…too too too. 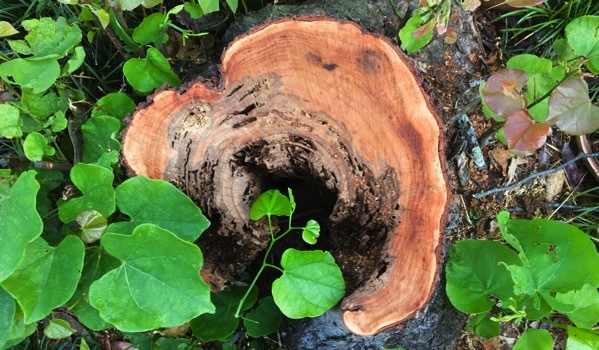 Today I found this stump, in a fresh-cut trio on a verge, with a few wood-shavings as evidence of the action. Redbud. Its…children…are striving for a come-back. 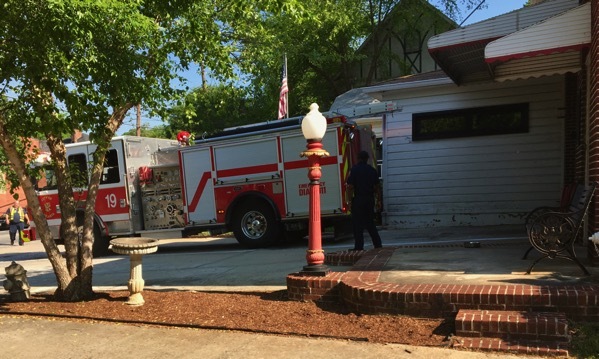 In neighborhood news, I caught the fire-truck returning from…?an airing? It pulled up in front of the station, in the street, and doors opened and guys got out, and directed the backup toward the inside parking spot. Fire-life returning to the waiting position. This entry was posted on Thursday, 10 May 2018 at 8:13 pm.